December marks the moment when cuffing season transitions into, well, engagement season, as couples close to tying the knot finally take the plunge—encouraged by love and festive cheer, and the fact that you probably don't have to buy too many other gifts for your partner if you're throwing down on a pricey ring. So it's not that surprising that one celeb couple has just set rumors alight that they're engaged too! 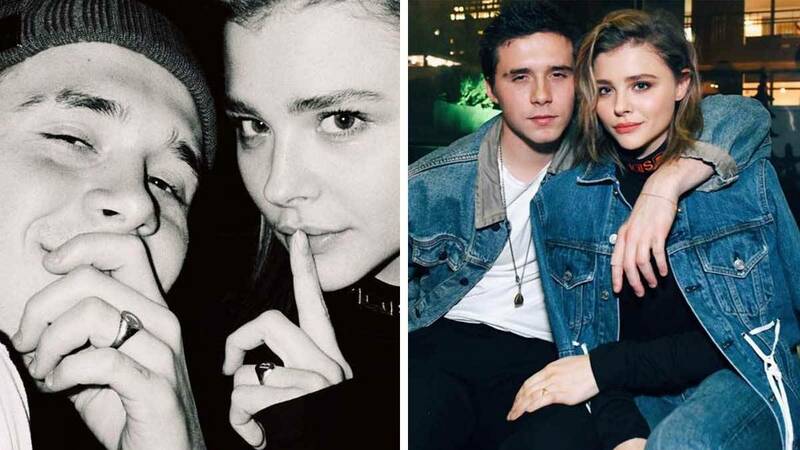 After posting a new selfie on Instagram, Chloë Grace Moretz and Brooklyn Beckham are finding themselves scrutinized by eagle-eyed fans—because they're wearing matching rings. Brooklyn looks like he's sporting a cheeky grin beneath his hand there, while Chloë seems like she's trying to keep a secret with her Pretty Little Liars-like "shh" pose too. Of course, nothing has been confirmed by either Chloë or Brooklyn and the rings don't especially look like traditional engagement bands, we'd just like to point out. But maybe that's the point?! And if their loved-up Instagram posts over the last year are anything to go by, they're very happy right now—leading plenty of fans to comment on the snap excitedly over the prospect of a Moretz-Beckham wedding. Besides, even if it's just a crazy coincidence and they happened to buy a perfect pairing of signet rings just like that, it means their taste levels are in sync through and through! It's not the first time that marriage rumors about the young couple have circulated. Last year, Chloë revealed that she and Brooklyn pranked Victoria Beckham into believing Brooklyn had popped the Q. "Sometimes, we'll just look at each other and laugh," Chloë said. "Like the other day, when I said: 'Apparently we're engaged,' and he took a picture of the 'ring' and sent it to his mom, saying, 'The rumors are true!'"